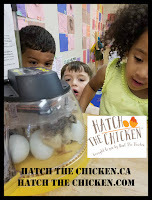 Homestead Jenn & Phil now offer Hatch The Chicken in Western PA! For Rent The Chicken renters we can possibly arrange for Hatch The Chicken to be combined with your Rent The Chicken rental. The price is $160. For Hatch The Chicken renters we can schedule your five week rental for a convenient time for you now through Summer 2016. The price is $185. Our Hatch The Chicken Package includes FREE DELIVERY to Pittsburgh and within 50 miles of Freeport, PA 16229. If you live further than 50 miles of zip code 16229, you may incur a predetermined transportation fee. For customers outside of our FREE DELIVERY area, please call us at 724-305-0782 for a delivery quote. 4 Hen Guarantee - which means no matter the outcome of the 7 eggs provided, we guarantee 4 female chicks. A chick swap may be necessary to fulfill this clause. Rent The Chicken Deluxe Chicken Coop includes hen feeder and waterer – holds up to 4 hens. Chick Starter Feed 50# - To be fed to chicks through 8 weeks. Follow up Rent The Chicken visit and consultation as well as continued phone, email, and Facebook support.